It’s not so much who is Ultron as it is what is Ultron. Ultron made its first appearance in the Marvel universe in 1968, issue 54 of “The Avengers” (although its origins weren’t explained until issue 57-58). 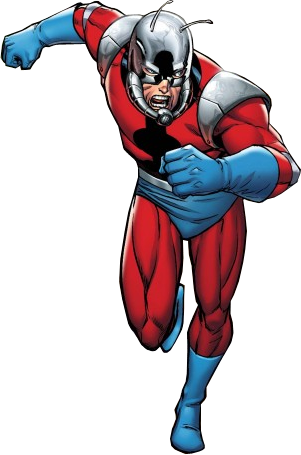 As an experiment in high-intelligence robotics, genius scientist Henry “Hank” Pym – also known as “Ant Man” – created and designed Ultron, an advanced program that generated radical artificial intelligence. Its purpose: to bring peace and order to the world. As Ultron’s AI advanced, so did its analysis on human nature. Ultron ultimately came to the conclusion that humans were inherently violent. To the robot, this meant that the only way of fulfilling its mission of restoring peace and order to the world was by annihilating mankind, the makers of war. According to its philosophy, the Avengers’ ideals are redundant. What sense does it make to protect humanity from humanity? What purpose does it serve to perpetually strive for temporal peace? If change isn’t a foreseeable quality of humanity as proven throughout history, how then can the world be truly saved? In an alternative series, Ultron actually succeeds in killing off the entire human population, as well as the Avengers. Marvel president Kevin Feige and Avengers director Josh Whedon stated in an interview at the San Diego Comic-Con 2013 that “Age of Ultron” wouldn’t feature Pym. Instead, they plan to introduce a separate origin story. Although we can cross off the 1960’s origin story, “The Mighty Avengers” by Brian Michael Bendis offers another origin story in which Ultron inhabits and takes over Tony “Iron Man” Stark’s armor. Synchronizing itself with Stark’s armor allowed Ultron to physically transform and reconstruct Iron Man’s suit into a newer version of Ultron and subsequently take control of Stark’s technology. Likewise, the teaser trailer showcases an Iron Man helmet slowly deconstructing and evolving into the head of Ultron. Coincidence? I think not. Although Ultron’s 1968 origin is unlikely, certain elements from issues 54-55 may still be used. In issue 55, Ultron mind-controls the Avenger’s butler, Jarvis, and uses him against The Avengers. Now if you remember, Jarvis is Tony Stark’s AI in the “Iron Man” films. This version of Jarvis is a computer program instead of a human butler. 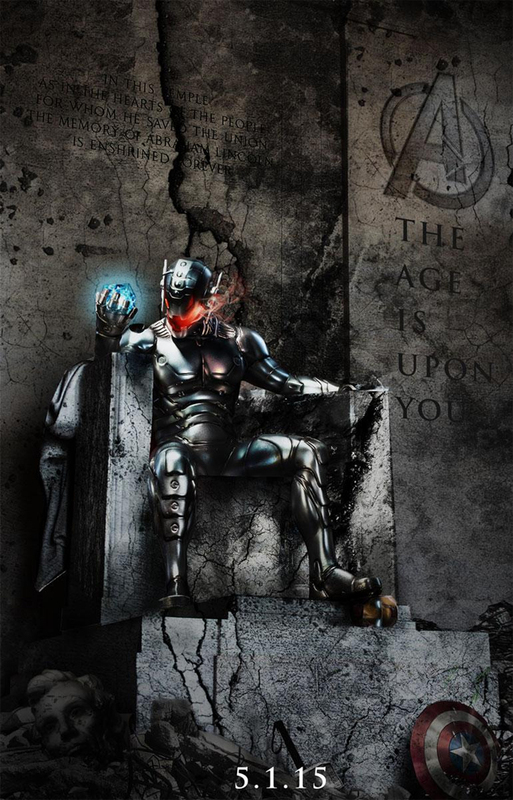 There’s currently speculation that Stark’s AI could become rogue in “The Avengers 2” and evolve to become Ultron. A more likely approach, however, is that Stark would design a separate AI that would become Ultron. 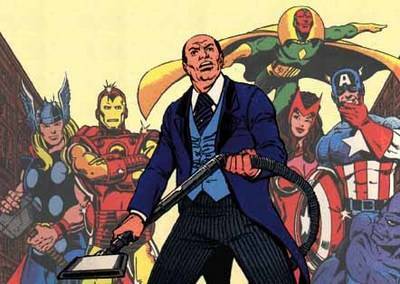 This would allow for Jarvis to be manipulated by Ultron – as he was in the 1960’s version – and used against the Avengers. But why would Stark design such a corrupt program? Well, at the end of “Iron Man 3,” Tony Stark promised girlfriend Pepper Potts that he’d quit his Iron Man gig. He then initiated the “clean slate protocol,” in which he puts on a magnificent show of fireworks by blowing up all of his Iron Man suits. Yes, every single one. I can’t imagine Stark quitting his obsession with Iron Man suits so easily. Perhaps for the upcoming installment of “The Avengers,” he will attempt to aid society from superhuman threats without actually being physically involved by creating an AI with an incredibly complex algorithm. Of course, in order for the movie to progress, the programming would go awry as it did in the 60’s origin, thus creating the Avenger’s ultimate foe. Cool story, bro. But give me some evidence. Trailer analysis coming soon! This page is constantly being updated for timeliness and accuracy. Whatever the origin of Ultron ends up being for “The Age of Ultron,” I think it’s clear that Marvel will pull from various aspects of the character’s history in comics. As long as Marvel remains true to the core element of its origins, Ultron will undoubtedly be the Avengers’ greatest threat yet. “Avengers: Age of Ultron” takes over theatres May 1, 2015. Until then, what are your predictions? What do you think of Ultron? Don’t forget to drop a comment and let us know!